We are ASO Roofing & Renovations, a residential roofing company serving the greater Houston area. If you need to a free estimate, minor roof repair, or roof replacement we are here to help. Welcome to the EASY roofing experience! As a homeowner, putting a new roof on your home is a big investments that can sometimes be an overwhelming process. 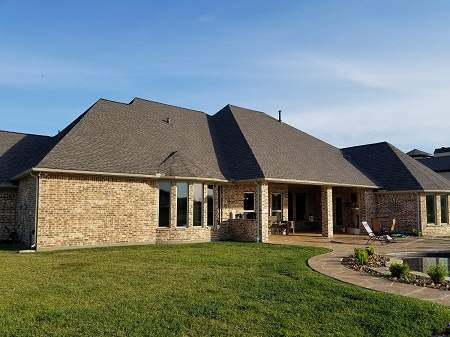 There are hundreds of roofing contractors in Houston to choose from, working with ASO Roofing & Renovations will give you peace of mind in knowing that you will get a great price, a great roof, and an overall great roofing experience. We are not your ordinary roofing company. ASO Roofing & Renovations is different from others companies providing roofing services in Houston TX. We’re locally owned, second generation roofers, and we have a real passion for our craft. We are experts in roof repairs, replacement services, and we know roofing products inside and out thanks to our experience in the retail sector of the roofing industry. We offer free roof estimates and insurance inspections. ASO Roofing & Renovations is certified with the leading shingle brands in the industry, GAF & CertainTeed. You will be pleasantly surprised with our service from the first time we knock on your door, until the last nail is cleaned up from your property with our magnetic sweepers. The comfort and safety of your family is important, so having a secure and reliable roof protecting you is essential. ASO Roofing & Renovations is an expert in residential roofs. We will treat you and your home with respect and professionalism. A roof repair in the right moment can extend the life of your roof! No need for a new roof installation. We'll fix leaks, apply sealant, and provide you a cost effective solution. We work in the best interest of our customers, if our inspection concludes that the best roof solution is a repair, we will provide you with that recommendation. Other companies could try and sell you a roof replacement, however that is not one of our business practices. We believe that if we repair your roof and save you money in the short term, when the time comes that you need a new roof you will not hesitate to contact us! We offer a five year “real” labor warranty, and we enhance our product by offering limited lifetime warranties on our materials. Many contractors offer warranties, but when the time comes to address the issue they do not answer calls or they are no longer in business. ASO Roofing & Renovations has a long term business strategy, we hope to be in the roofing industry in Houston, Tx for years to come. At the end of the day, we are a service business and our business strategy is tailored for you! For your convenience we provide online and call-in scheduling, flexible appointment availability, and free estimates & inspections. 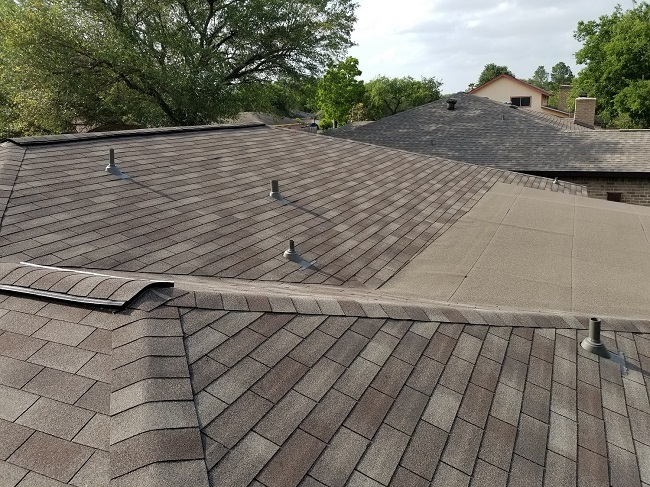 We take the time to thoroughly explain the different component of the roof systems so you have a full understanding of your options and the work that will be performed. If you decide that you want to hire us for your roof replacement, we will set up a meeting prior to the roof installation, in order to show you the color samples available to you. Once the work is completed we perform a final walkthrough to answer all your questions and make sure you are 100% satisfied with your new roof. We do not take deposits, payment is due upon completion of work. We will stay in touch with you through email so you can keep us top of mind, and for you to contact us if you ever have any questions regarding your roof system. We hope to build a strong and lasting relationship with out clients. We are Osvaldo and Jr, brothers and founders of ASO Roofing & Renovations. Our father served Houston as a roofer for over 30 years. After a successful career as a contractor, he saw the opportunity and founded a roofing & building material supply company. With our help, he has been supplying material to contractors and builders in Houston since 2012. We founded ASO Roofing & Renovations because we sincerely believe that our unmatched knowledge and experience will allow us to be the best roofing company in Houston. When you need Houston roofing contractors for roof repairs, roof replacement, or any other roof service, look no further than ASO Roofing & Renovations. Our competitive prices, customer service, and our outstanding work provide customers with an easy and pleasant roofing experience. Call us, text us, or email us today to schedule your free evaluation. We look forward to serving your needs and building a long term relationship!